Gareth Maybury was born in 1971 and started playing the euphonium in 1981. His first bands were the Burnley Youth and Burnley Silver Alliance bands. Gareth has also played for Earby, Skipton Properties and Greggs Bakery bands. Qualifying for the National 1st Section Finals two years running with Skipton. Playing at Glastonbury 2005 (year of the floods) with The Earlies then getting to the front of the pyramid stage to watch Brian Wilson as the sun came out. Touring the USA and Canada with The Earlies for a month. Gareth studied percussion with Dave Hassell at Salford University and graduated from the Popular Music and Recording course. 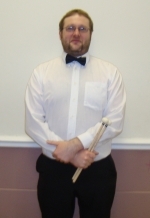 Gareth is currently employed by Giggleswick and Malsis Schools in North Yorkshire as a percussion teacher. He also plays drums, percussion and brass for The Earlies on their two albums. 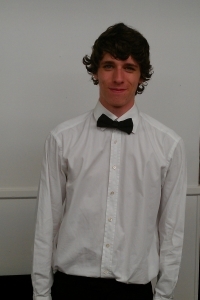 Born 1993, Theo started playing the drums in 2006 and joined the Lancashire Youth Concert Band and the Freckleton Band in 2009 where he began playing timpani and tuned percussion. 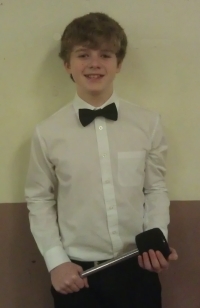 Freckleton band taking 1st place in the first contest I took part in at Blackpool Winter Gardens and touring Slovenia with the Lancashire Youth Concert Band. Theo also enjoys Thai boxing in his spare time.